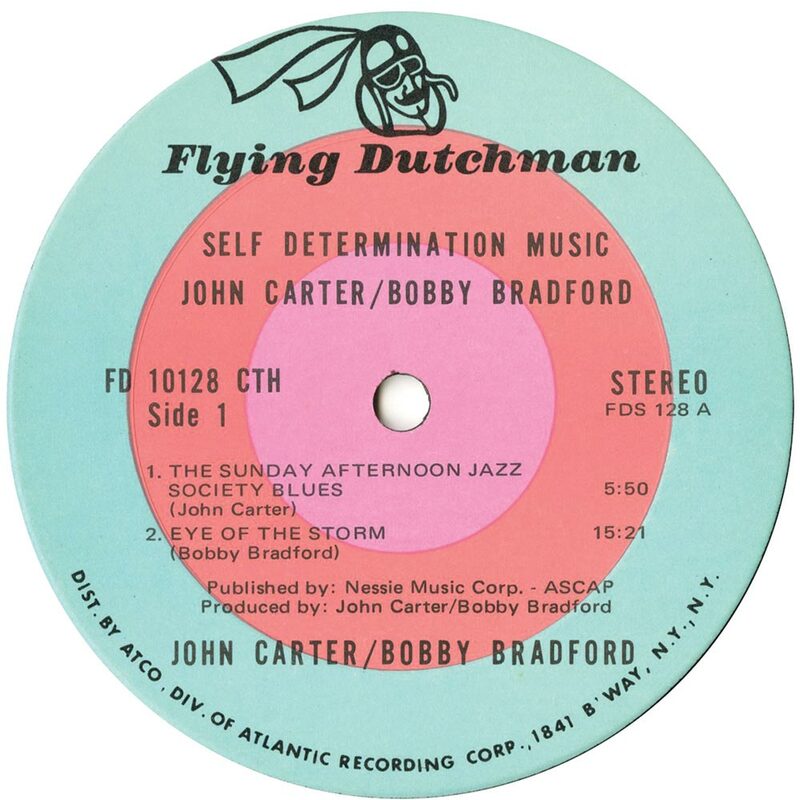 By 1970, when John Carter and Bobby Bradford released Self Determination Music, Bob Thiele’s Flying Dutchman Productions had established a reputation for releasing groundbreaking music. This had been the case since Bob left Impulse Records in 1969. Impulse Records had been home for Bob Thiele since 1961. Over the next eight yearsDuring that time, Bob Thiele enjoyed the busiest period of his career. Bob, who was hardly away from the studio, produced over 150 albums in eight years. This included John Coltrane’s seminal album A Love Supreme. However, not all of Bob Thiele’s production’s were as successful. Innovative music didn’t always equate to commercially successful music. Through working with some of the most innovative and creative musicians in the history of jazz, Bob must have realised that often, large record companies aren’t the best environment for innovative and creative musicians. Often, these musical mavericks didn’t thrive within such an orthodox environment. Their creativity is restricted, meaning they’re unable to experiment and innovate like they’d like. Soon, Bob Thiele, would be able to create an environment where this would be possible. By 1969, Bob had been at Impulse for eight years. He’d been responsible for producing some of the most important jazz music of the sixties. However, there’s no sentiment in music. In the musical equivalent of a musical coup d’tat, Bob Thiele was ousted from his role at Impulse. This proved to the start of the next chapter in his career. Leaving Impulse in 1969, Bob founded Flying Dutchman Productions. This would become home to everyone from Ornette Coleman, through Gil Scott Heron, Leon Thomas, Eddie “Cleanhead” Vinson, Louis Armstrong to Lonnie Liston Smith and His Cosmic Echoes. Within the right environment, Bob wanted to prove that innovative musicians could thrive, creating music that’s influential and forward-thinking. 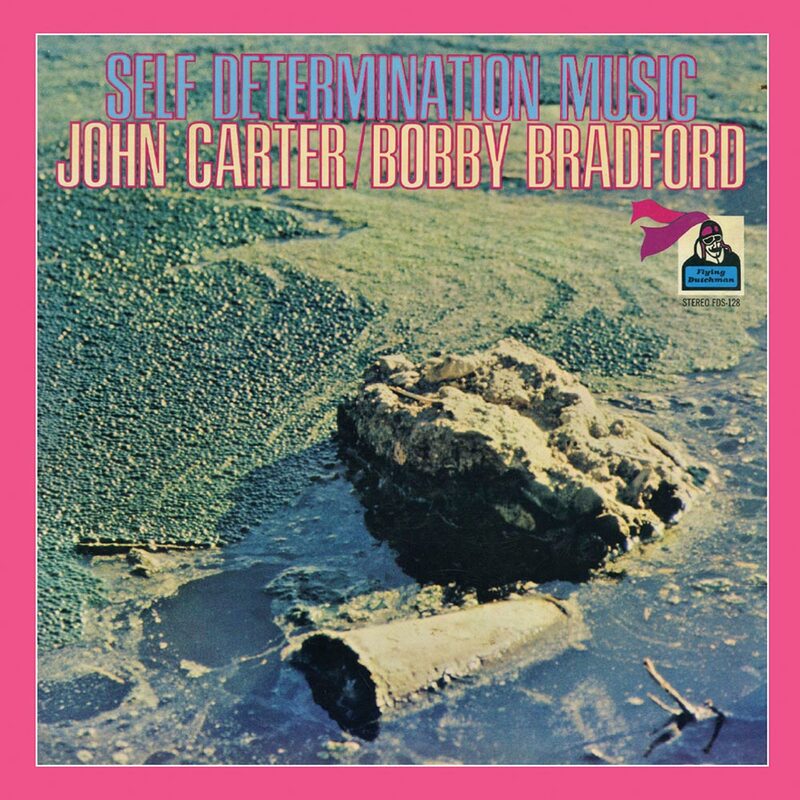 That describes the music on John Carter Carter and Bobby Bradford’s 1970 album, Self Determination Music perfectly. Released in 1970, Self Determination Music was a collaboration between two musical innovators. This was their second collaboration. Their first was the John Carter and Bobby Bradford Quartet’s Flight For Four, which had been released on Flying Dutchman Productions, in 1969. The sessions had been challenging for producer, Bob Thiele. However, the end result made it all worthwhile. Flight For Four was the type of music he wanted to record, produce and release. Inventive, innovative and influential, Flight For Four was different to much of the music other labels were releasing. It would, he hoped, influence a generation of musicians. So, Bob commissioned a second album. Whereas Flight For Four was credited to The John Carter and Bobby Bradford Quartet, Self Determination Music was credited to John Carter and Bobby Bradford. They put together a quintet which recorded the four songs on Self Determination Music, which was recently reissued by BGP Records, an imprint of Ace Records. Self Determination Music marked the next step in the career of two pioneering jazzmen. 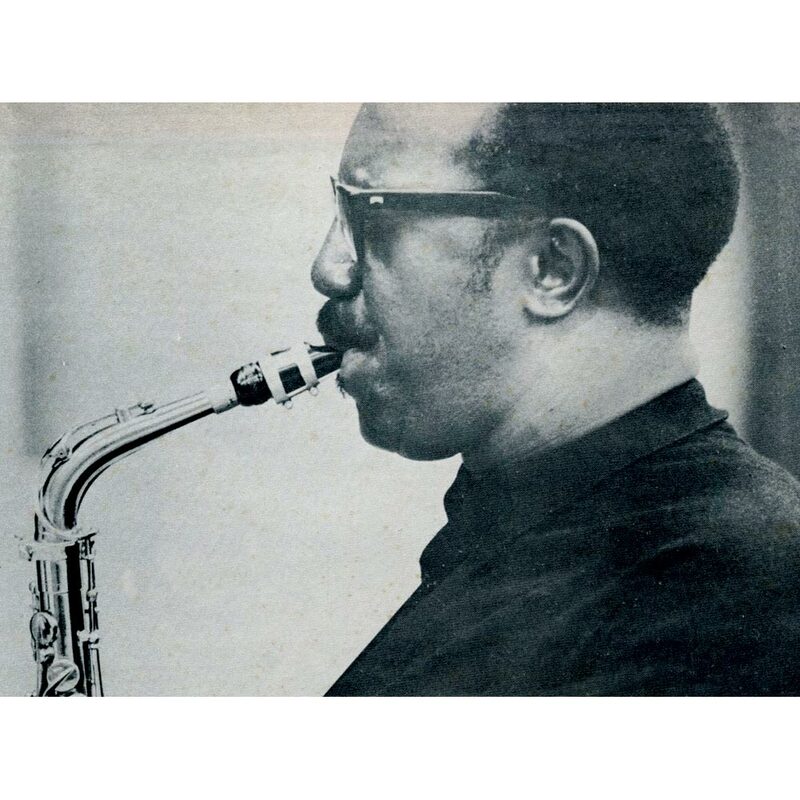 Saxophonist John Carter was forty-one when he recorded Self Determination Music. He had been born in Fort Worth, Texas. Growing up, John attended I.M. Terrell High School, alongside Ornette Coleman and Charles Moffett. Originally, John played the saxophone. However, later, John began to spread his wings musically. By the time John Carter headed to college, in 1945, he was already starting to play other instruments. Soon, he was becoming something of a multi-instrumentalist. Eventually, John could play clarinet, flute, plus alto, tenor and soprano saxophone. For a future music teacher, this was no bad thing. In 1949, John graduated college, and began teaching. This allowed him to make a living, and also, to hone his skills. Deep down, maybe John hadn’t given up hope of making a living as a musician, like his old class mate Ornette Coleman. Eventually, it was Ornette Coleman that helped John get a break. Ornette Coleman knew both John and Bobby Bradford. He felt they had much in common, professionally and musically. They had, he felt, similar hopes and aspirations. Both John and Bobby were teachers, who hoped to make a living as musicians. So, Ornette put them in touch. When John met Bobby Bradford, he discovered he was a native of Cleveland, Mississippi. Bobby was thirty-six, five years John’s junior. He was born in 1934, and began playing the trumpet at an early age. By the age of fifteen, Bobby was playing in clubs around Dallas. Despite his tender years, Bobby was rubbing shoulders with impressive company, including Ornette Coleman, James Clay and David Newman. This stood Bobby in good stead when he moved to Los Angeles in the early fifties. Now living in Los Angeles, Bobby kept in touch with, and played alongside Ornette Coleman. Both shared a passion for free jazz, which was transforming jazz music. However, by the mid-fifties, Bobby’s career was interrupted. He was drafted. With Bobby drafted, Don Cherry took his place in Ornette Coleman’s band. Then when Bobby was discharged from the Army, he picked up where he left off. Bobby returned to Ornette Coleman’s band. Mostly, the lineup of Ornette Coleman’s band which featured Bobby played live. They did enter the recording studio. Sadly, these recordings were never heard. In 1962, a fire devastated the Atlantic Records’ vaults the master tapes were kept in. By then, Bobby had realised he wasn’t going to make a living as a musician. So, like John Carter, Bobby turned to teaching. That’s how was making a living, when Ornette Coleman introduced John and Bobby. With the two musicians turned teachers, having so much in common, they taught by day, and practised by night. Both men shared a love of free jazz, and were looking for like minded musicians. Trying to form a band wasn’t easy. The problem was finding musicians who wanted to play free jazz. Some arrived with good intentions, but weren’t suited to free jazz. Eventually, though, the lineup took shape. After trying out several bassists, Tom Williamson, a technical writer, by day, got the gig. Next to join was drummer Bruz Freeman, who was a stalwart of The West Coast scene. Previously, Bruz had been a member of the Hampton Hayes Quartet since the fifties. Bruz was the final piece of the jigsaw, who initially, called themselves The New Art Ensemble. With the lineup in place, The New Art Ensemble practised together. However, given the band were part-time musicians, The New Art Ensemble only played a few gigs. When they did, they often played alongside Horace Tapscott and His Pan-African People. After one of these gigs at the Occidental College, The New Art Ensemble caught a break. John William Hardy, a professor at Occidental College had founded a record label, Revelation, with one of his former students, Jonathan Harwich. They asked The New Art Ensemble if they wanted to record an album? The answer was a resounding yes. John Carter penned five of the six tracks that became Seeking, The New Art Ensemble’s one and only album. This ambitious and pioneering album was released in January 1969. It was the perfect showcase for The New Art Ensemble, who were about to come to the attention of Bob Thiele. Bob had just left Impulse, after eight years, and had just founded Flying Dutchman Productions. He was looking for musicians to accompany him on his debut album Head Start. Having come across The New Art Ensemble and Horace Tapscott, and been impressed with them, he realised he had found his backing band. The New Art Ensemble and Horace Tapscott accompanied Bob Thiele on Head Start, which was released in 1969. Bob however, was impressed with The New Art Ensemble, so offered them a recording contract. However, he wasn’t impressed with their name. So, The New Art Ensemble became The John Carter and Bobby Bradford Quartet. The John Carter and Bobby Bradford Quartet’s debut album would be Flight For Four. It featured five tracks. Four songs were penned by John, and one by Bobby. Some of the arrangements were extremely complicated. So much so, that when the recording session began, multiple takes were required. However, once the session were finished, The John Carter and Bobby Bradford Quartet and Bob Thiele were impressed by Flight For Four. When Flight For Four was released in 1969, critics hailed it an album of ambitious and groundbreaking music. It was a timeless homage to The John Carter and Bobby Bradford Quartet’s collected love of free jazz. Despite the glowing reviews, Flight For Four wasn’t a huge seller. However, it sold well enough for Bob Thiele to commission a second album. 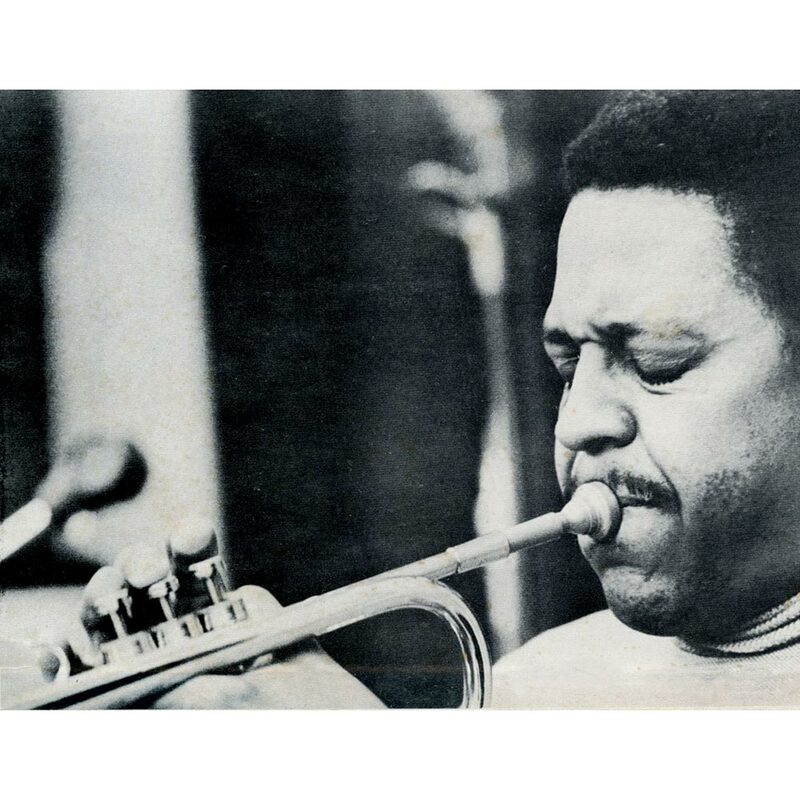 Bob believed in The John Carter and Bobby Bradford Quartet, and was willing to back the free jazz pioneers. For their sophomore album, Self Determination Music, John Carter penned a trio of tracks, The Sunday Afternoon Jazz Blues Society, Loneliness and Encounter. Bobby Bradford contributed the other track on Self Determination Music, The Eye Of The Storm. These four tracks would become Self Determination Music, which saw The John Carter and Bobby Bradford Quartet, become a quintet. For Self Determination Music, it was decided to add a second bassist. This presented a problem. No longer could they call themselves The John Carter and Bobby Bradford Quartet. 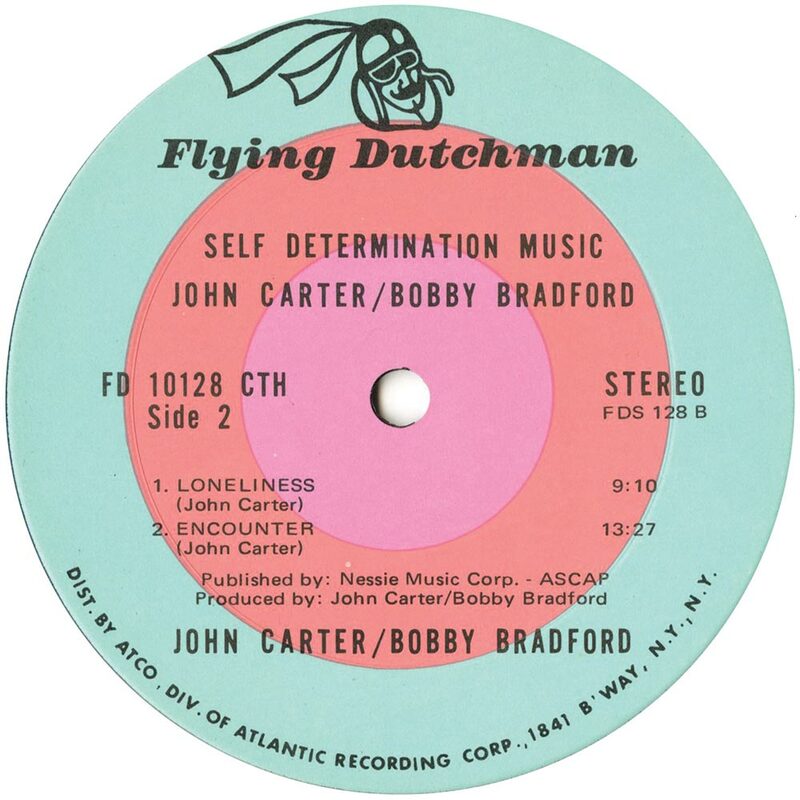 So, Self Determination Music was billed as an album by John Carter/Bobby Bradford. It featured the debut of second bassist Henry Franklin. Producer Bob Thiele too the quintet into the studio, where they recorded the four tracks. Drummer Bruz Freeman and bassists Tom Williamson and Henry Franklin provided the rhythm section. John Carter played reeds and Bobby Bradford trumpet. This new lineup worked their way through the four tracks, which became Self Determination Music, which was released in 1970. Before its release in 1970, Self Determination Music was described as an ambitious and innovative album by critics. The quintet were perceived as pioneers, who were determined to push musical boundaries. They do this throughout Self Determination Music’s four tracks as free jazz moves in new and unexpected directions. However, how would record buyers react to Self Determination Music? Sadly, when Self Determination Music was released, history repeated itself. Self Determination Music wasn’t a huge seller. Just like many of Flying Dutchman Productions’ releases, they found a discerning audience. However, still many jazz lovers still didn’t “get” free jazz. It seemed to go over their head. As a result, Self Determination Music hasn’t been rereleased since it was originally released back in 1970. So, BGP Records reissue of Self Determination Music, which I’ll tell you about, is a welcome reissue. The Sunday Afternoon Jazz Blues Society opens Self Determination Music. A scrabbling bass, joins hissing hi-hats and blistering trumpet solo. Soon, what was an understated, spacious arrangement has been transformed. It’s a dramatic, musical roller coaster ride. At the heart of the arrangement is the trumpet, which plays a starring role. The rest of the quintet, however, aren’t reduced to playing supporting roles. No. They more than play their part in the sound and success of The Sunday Afternoon Jazz Blues Society. Especially, the sultry saxophone that joins aboard the roller coaster. Aided and abetted by the rhythm section, a mesmeric and inventive free jazz track takes shape, leaving you wanting more. The Eye Of The Storm is a fifteen minute epic. Hesitantly, the two basses toy with the listener. They’re playing call and response, varying the tempo. It rises and falls, as if Tom and Henry are playing a game of cat and mouse. This continues when the horns enter. Accompanied by the rhythm section, which powers the arrangement along, horns sound. Sometimes, it’s as if they’re duelling, vying for supremacy. Mostly, though a glorious trumpet solo weaves its way across the arrangement. Not to be outdone, rumbling rolls of drums, the scrabbled bass and stabs of saxophone vie for your attention. Then the sultriest of saxophone solos takes centre-stage. It’s as if the gauntlet has been thrown down. Later, as the arrangement becomes much more understated, one things stays the same. Subtleties, surprises and nuances aplenty unfold, during this free jazz epic. Loneliness opened side two of the original version of Self Determination Music. It’s nine minutes where beauty and melancholia are omnipresent. Understated, hesitant, wistful and beautiful describes the way percussion, subtle stabs of horns and a probing bass unite. Soon, the track takes on an orchestral sound. Still, though, the understated sound remains. Then as bass if plucked, a saxophone sounds. Its sultry, soul-searching sound is akin to an unburdening of hurt and heartbreak. Scrabbled strings, a muted, melancholy trumpet and string play. Drums are caressed, as if Bruz is afraid to overpower the beautiful, wistful arrangement. As Loneliness’ continues to unfold, its cinematic sound grows. By the end of the track, Loneliness, with its beautiful, wistful cinematic sound, is painting pictures of hurt, heartbreak and of course, Loneliness. Closing Self Determination Music is Encounter. It’s a thirteen minute track. From the get-go, the quintet stretch their legs. Theres a sense of urgency in the rhythm section, who power the arrangement along. They provide the backdrop for the wailing, braying horns. Soon, though, as the tempo rises, it’s just the trumpet that remains. With the rhythm section injecting urgency, Bobby kicks loose. His scorching, searing horn cuts through the arrangement. Not to be outdone, John returns, playing gently and within himself. When he drops out, it’s just the frenzied rhythm section that accompanies Bobby. Later, John returns, still playing within himself. Even when Bobby bows it. The horns are constantly searching for an in, during the rhythms laid down by the powerhouse of a rhythm section. This becomes even more apparent when the horns drop out. They, like John and Bobby more than play their part in what’s an urgent, explosive, free jazz tour de force which closes Self Determination Music. It was forty-five years ago, in 1970, that John Carter/Bobby Bradford released Self Determination Music. This was the second album they had released on Flying Dutchman Productions. Sadly, although it found an audience within the free jazz community, and among the more adventurous record buyers, mostly, Self Determination Music passed music lovers by. That’s not surprising. Very few record buyers understood free jazz. Used to traditional, more mainstream jazz music, free jazz was another world to them. Bebop, hard hop and the West Coast jazz they could understand, but not free jazz. It went against jazz’s fundamentals. Free jazz was akin to jazz’s maverick genre. This was a step too far. As a result, many jazz lovers were missing out on many ambitious and innovative albums, including John Carter/Bobby Bradford’s Self Determination Music, which was recently reissued by BGP Records, an imprint of Ace Records. Self Determination Music is yet another of the hidden gems that for far too long, has been hidden away in Flying Dutchman Productions’ vaults. Not any more. Forty-five years after its original release, music lover have another chance to rediscover a truly groundbreaking album, Self Determination Music which John Carter/Bobby Bradford released back in 1970. Self Determination Music, which is a truly beautiful, ambitious, dramatic and innovative album, which will challenge music lovers both musically and intellectually. If they give Self Determination Music a chance, they will be richly rewarded by John Carter/Bobby Bradford’s long forgotten, free jazz epic. ← RICK WAKEMAN-THE MYTHS AND LEGENDS OF KING ARTHUR AND THE KNIGHTS OF THE ROUND TABLE.